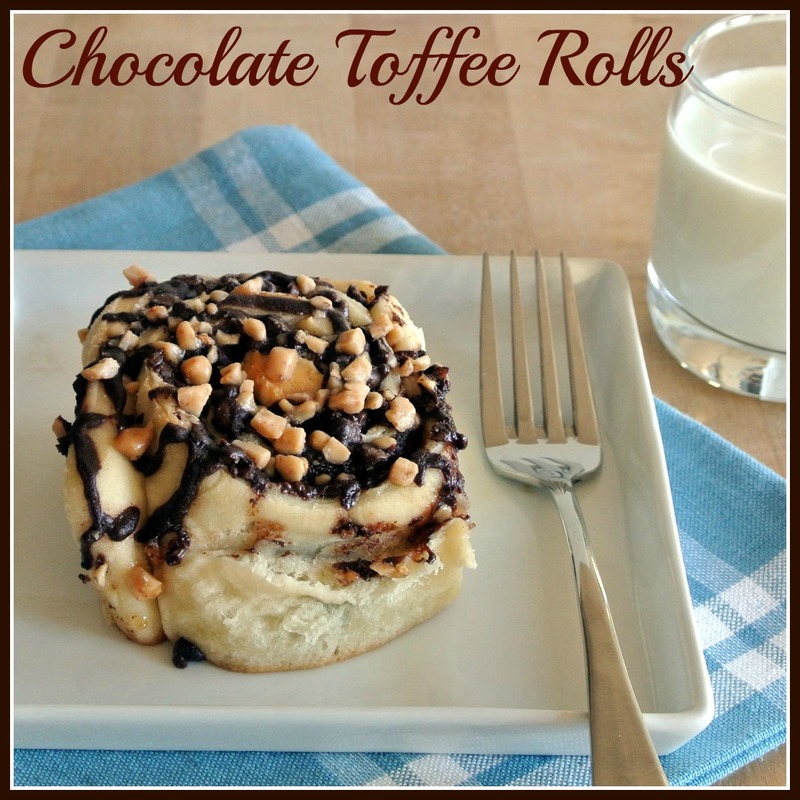 In our house Chocolate and Toffee automatically make the the best wife ever. 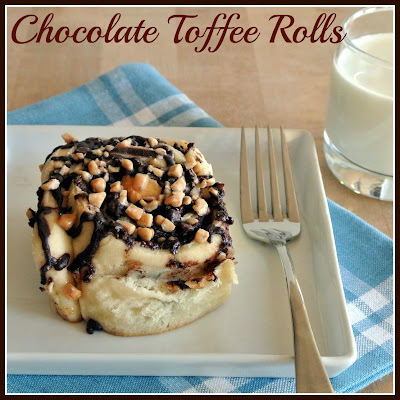 My husband loves toffee and loves a good dark chocolate. 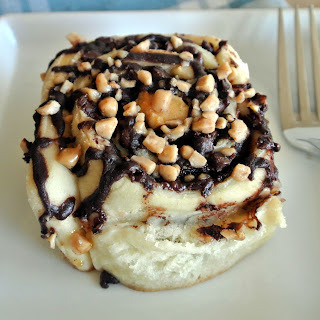 As I was looking through all my favorite blogs I came across several cinnamon roll recipes that got me drooling. 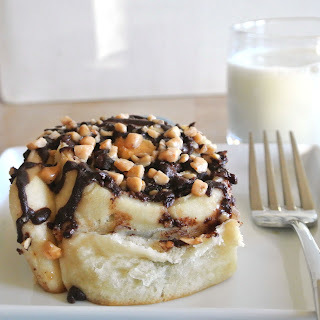 Then I thought... well why not combine the flavors we like with a sweet roll? 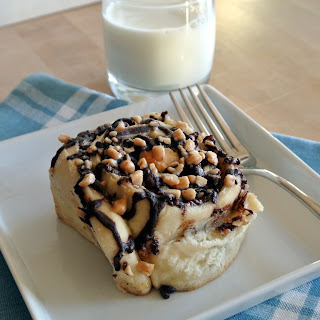 I don't know if it has been done before or not, but this recipe is a winner! Romantic tip: What is your partners favorite flavors? Are they a chocolate lover? A candy lover? Maybe it is something savory? Find out and make a dish containing only their favorite flavors. With layers of sweet bread, dark chocolate, and toffee bits, I don't think it can get any better than this! 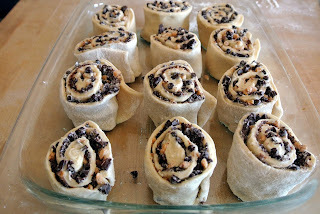 This recipe makes 12 rolls, I did not cut the recipe down, simply because I am giving the rolls away to several groups of friends in our building, as well as the maintenance man and the manager. They deserve to be pampered every once in a while too! My neighbor said it was "Quite possibly the best thing she has ever put in her mouth". If you are just cooking for two, you can cut the recipe in half and it will yield 6 rolls, send the leftovers to the office. You will become everyone's new best friend! In a large mixing bowl or the bowl of a stand mixer fitted with a dough hook, pour in water, yeast and 1 tablespoon of the granulated sugar. Stir and proof 5 minutes. 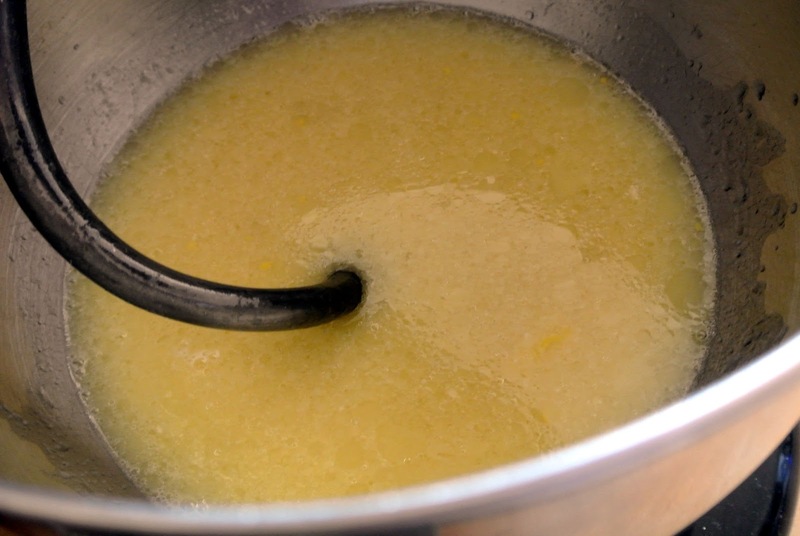 Once mixture looks bubbly and frothy, pour in remaining sugar and salt. 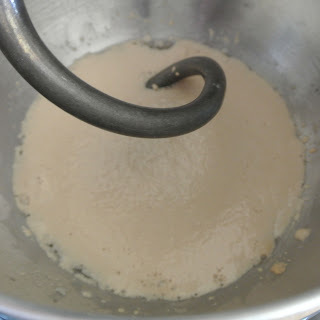 Stir on low for 20 seconds. 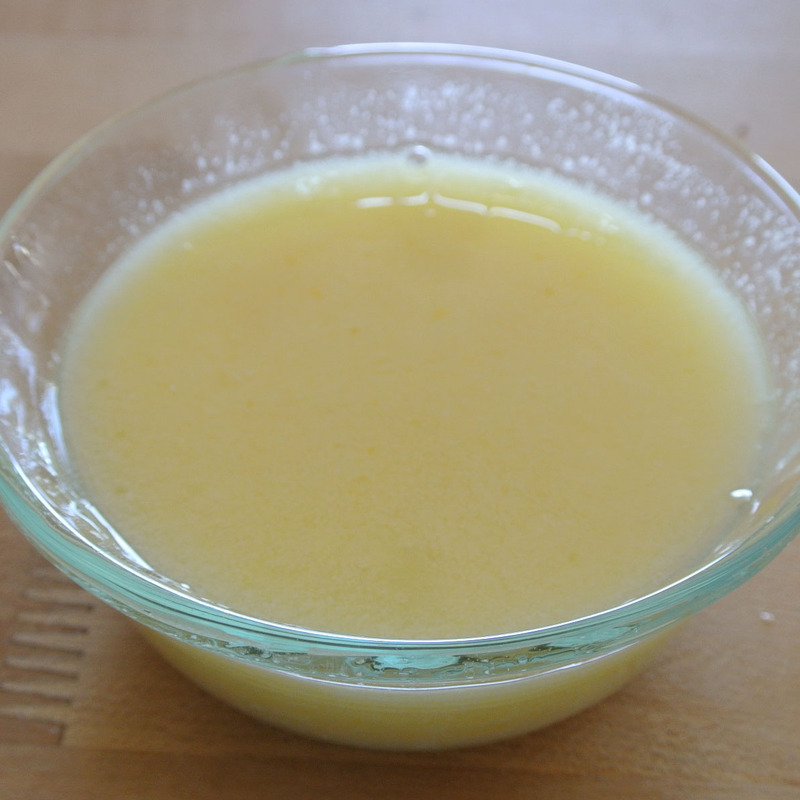 In a small bowl, measure buttermilk, oil and egg. Whisk ingredients together until egg is incorporated. Pour contents into the water and yeast mixture. Stir another 20 seconds in the mixer. and stir on low until incorporated. 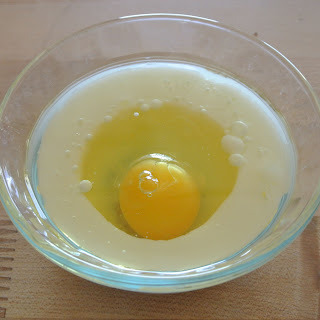 I had to scrape down the sides of the bowl. 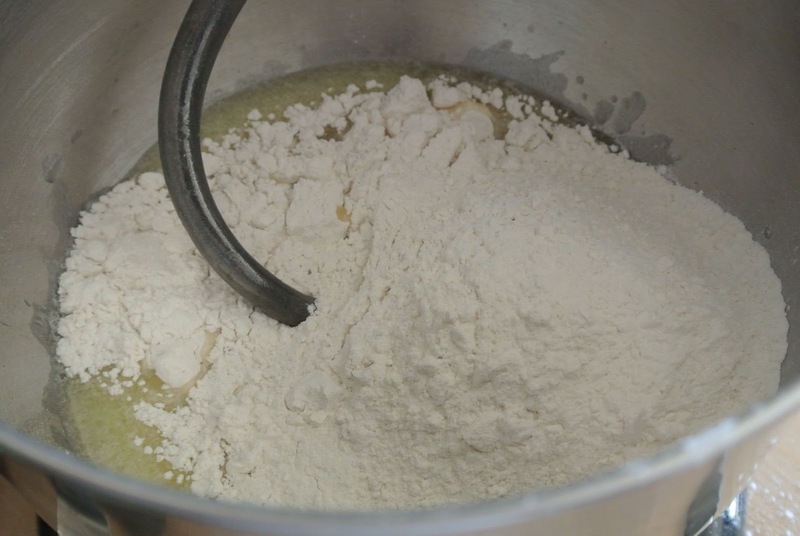 Sprinkle flour in by 1/4 cup increments until dough cleans the sides and bottom of the bowl. Dough should be sticky but not sticky enough to stick to your hands when touched. 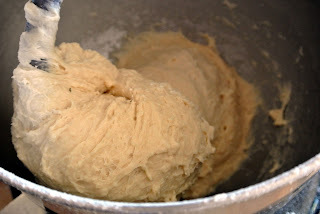 Once it has reached this stage, turn mixer on and knead for 5 minutes. 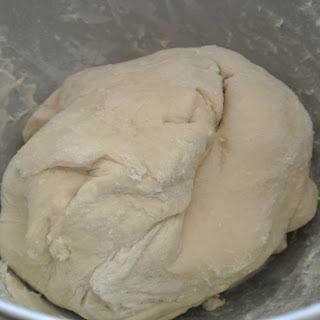 Remove dough from bowl, grease and replace back into same mixing bowl. 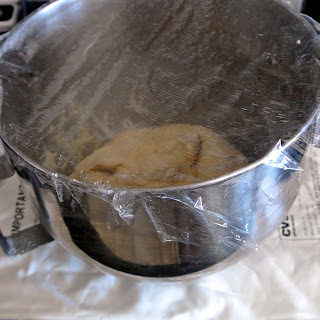 Cover with plastic wrap and a dish towel. 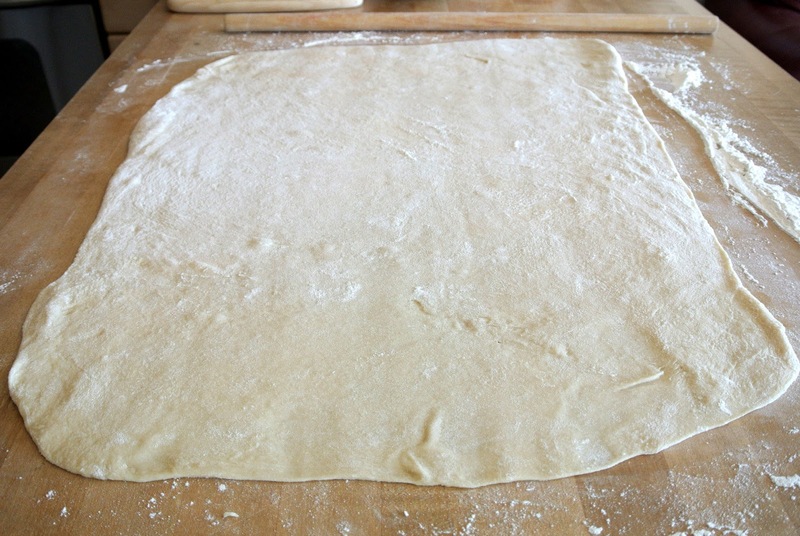 Rise 1-2 hours or until dough has doubled in size. I use a heating pad on low, this ensures perfect temperature for rising. Since not everyone has a hot sunny window seal! 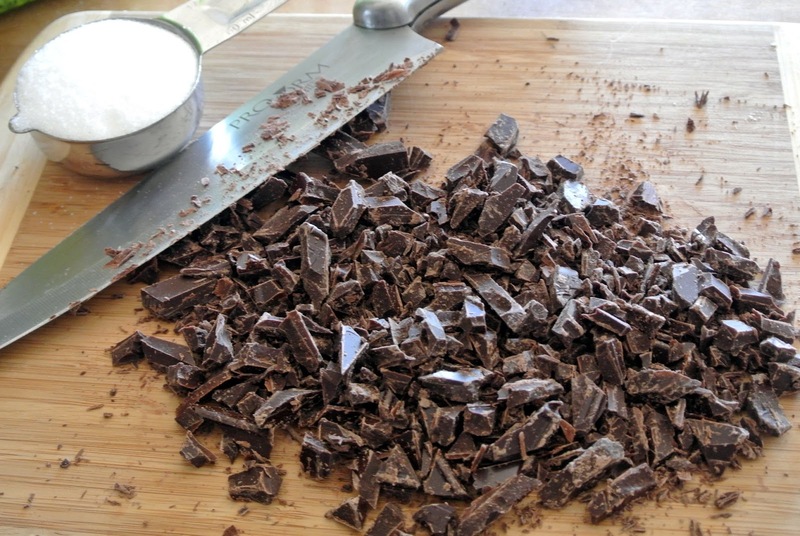 While the dough is rising, chop up your chocolate, and set out your unsalted butter so that it becomes soft by the time the dough is ready. Set aside. When the dough has doubled size, punch down dough. Flour a large clean table liberally with flour. Roll dough out to be a 20x30 rectangle. Feel free to cut off the edges to even it all out. 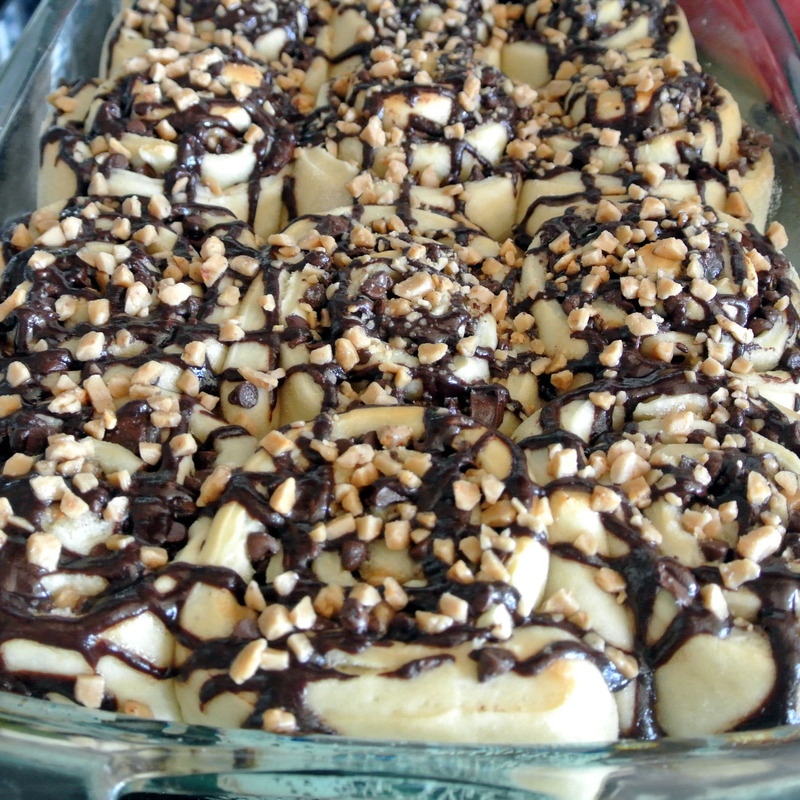 I save my cut off edges and make a small serving of monkey bread with it. 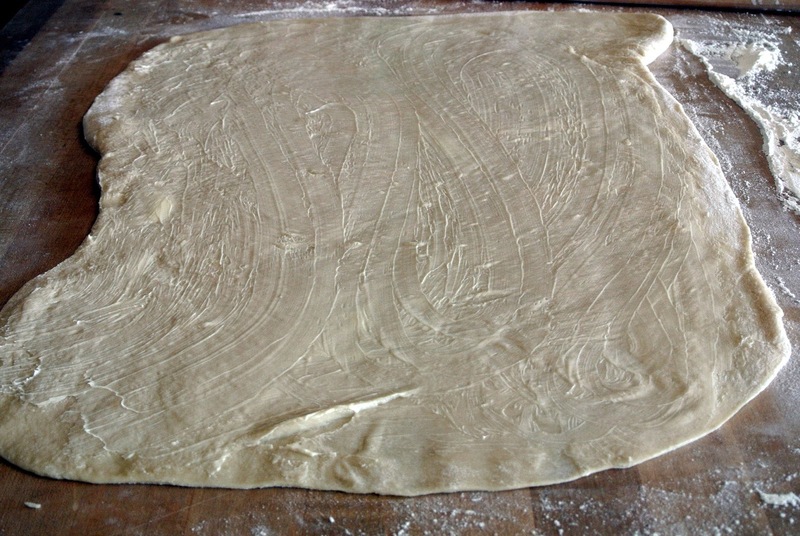 Spread softened butter over dough, being sure to go right to the edges leaving a 1-inch strip untouched on one of the longer sides of dough. 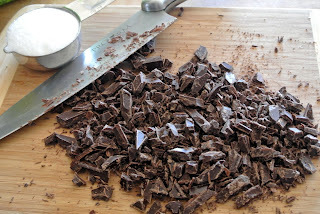 Measure out your sugar, toffee and chocolate and make sure it is all chopped up. 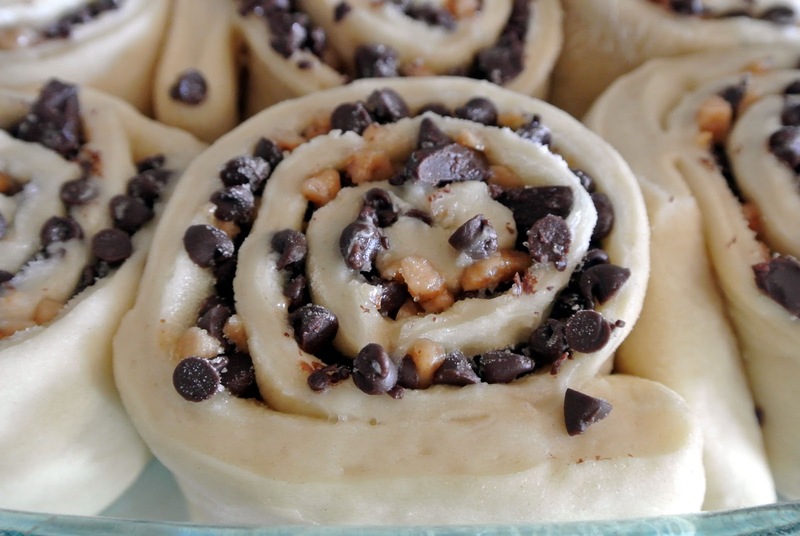 Sprinkle chocolate, sugar and toffee on top of the buttered dough. 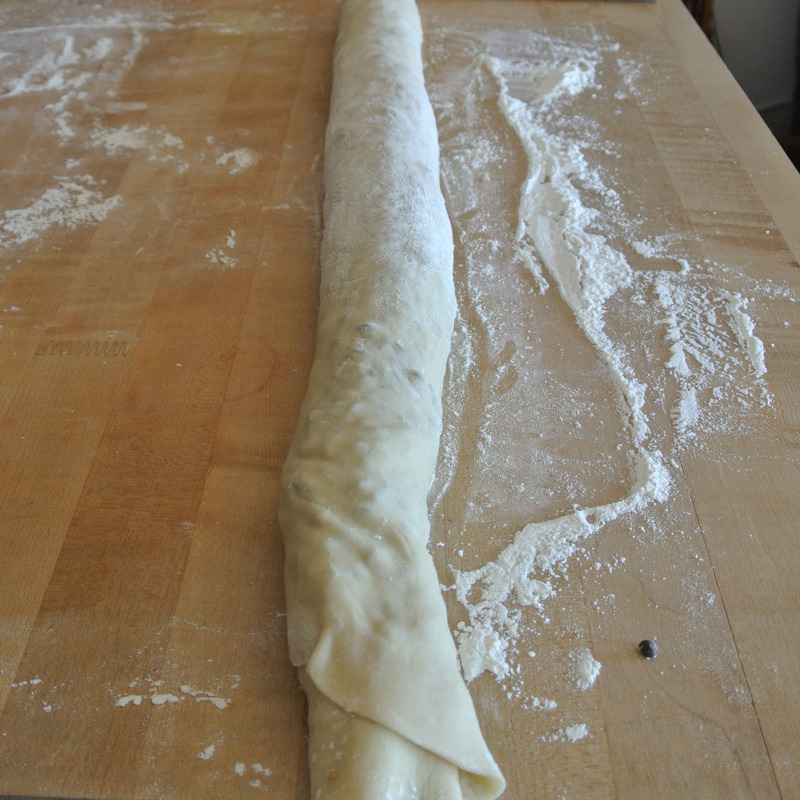 Roll the dough up into a tight log, finishing with the plain dough on the bottom to seal the entire thing together. Cut off the uneven ends to even out the log (you can make monkey bread out of the leftovers, I made Chocolate Toffee Pull apart bread). Slice your rolls making them 2 inches. I cut up the leftovers (I always cut off the ends of the rolls so that each roll is the same size) and I placed in a small baking dish. Cover pans with plastic wrap and dish towels. Let rolls rise another 1-2 hours or until they are touching and have doubled in size. 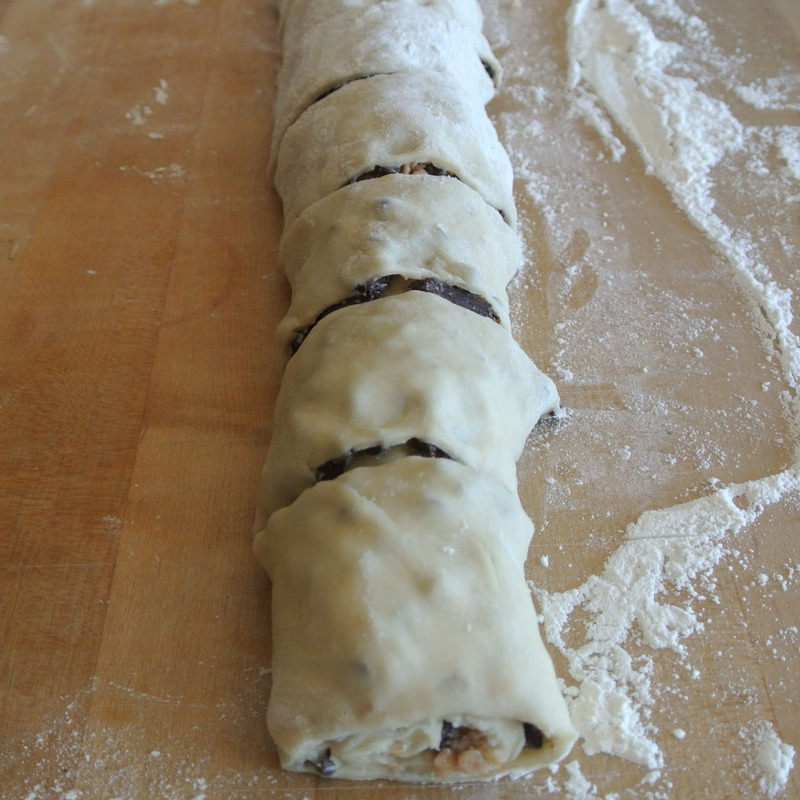 Bake in a preheated oven for 20-25 minutes, or until tops start to brown. 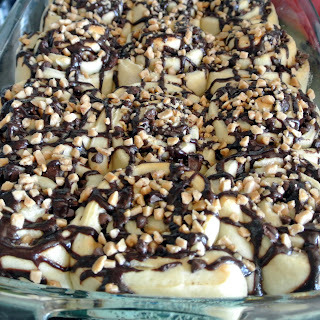 Melt your chocolate and whipping cream in a double broiler or microwave for 3 minutes at 50% heat to make the chocolate drizzle.Drizzle your chocolate drizzle on top and sprinkle with more toffee bits.